No. God, Arsenal, why? I don't want to. Why would your Website even post this? So now, the last two times Arsenal have won their Champions League group, they have gone on the road for the first leg of the Round of 16 and lost by four clear goals. That is literally insane. And that's the classic cliché, Einstein's definition of insanity, no? Doing the same thing over again in the same way and expecting different results. It probably wasn't actually Einstein who originated that saying, but the meaning is clear. It's getting a bit exhausting to talk about it. In my preview for Wednesday's match, I opened with a selection of Arsène Wenger quotes from each of Arsenal's six first leg losses dating back to 2010, saying that it only takes 90 minutes to change history. Apparently, it also only takes 11 minutes for Bayern to score three and solidify the prevailing narrative. So here we are, 10 points out of first in the league and one foot out of Europe in February, again. The FA Cup again looks like Arsenal's only legitimate chance at silverware, but does it even matter? Will it change anything? We're past the trophy drought years now, another FA Cup title isn't going to mask this club's failings anymore. They're all too clear now to hide any longer. We need more Jeff! Hi Jeff! I think the most damning statistic from Wednesday night's loss is one Sean mentioned in his recap: Mesut Özil won more challenges than holding midfielder Francis Coquelin. That is an indictment on the Frenchman, a player who, in my opinion, has looked nothing but second best since returning, possibly too quickly, from injury in January. He must be dropped, in my opinion. On Monday, I'd play Mohamed Elneny and Granit Xhaka; the latter needs minutes after serving that four match ban. Cup keeper David Ospina should retain his place between the sticks and he deserves to. If it weren't for him, we'd be talking about a much worse loss right now. Laurent Koscielny's injury obviously caused a lot of damage for the Arsenal backline, clearly showing how important he is to the squad. As such, he can't be risked here. At the same time, Gabriel needs to be dropped for a bit, too. Ditto Kieran Gibbs; I can't fathom why he started over Nacho Monreal on Wednesday. In the forward quartet, Wenger would be well advised to select some players who might do something with the opportunity. Alex Oxlade-Chamberlain was poor on the wing on Wednesday, but has excelled centrally as of late. Danny Welbeck needs a start. Lucas Pérez should start, if he's fit. 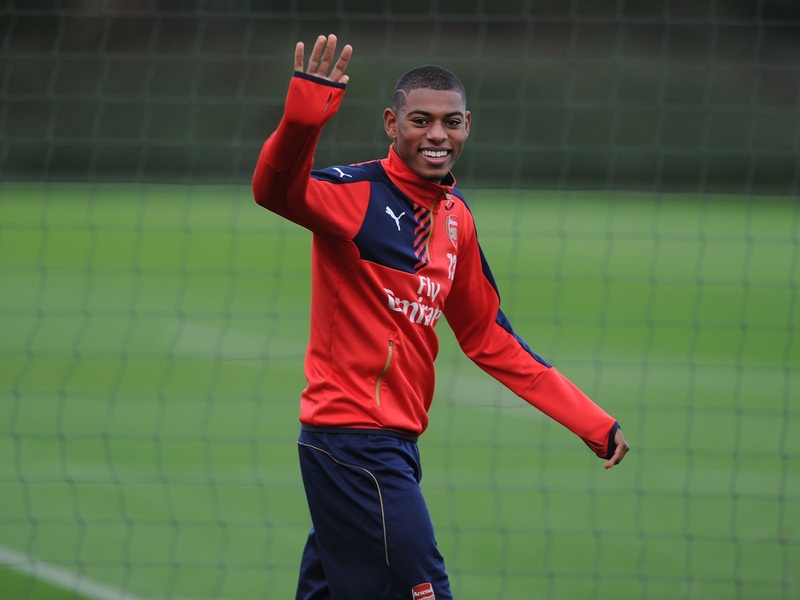 Ainsley Maitland-Niles and Jeff Reine-Adélaïde have appeared in each of Arsenal's previous FA Cup ties this year, the former having started both. Donetsk, made 10 appearances for the Gunners. Eastmond had an own goal in this, a 2-1 loss. It can be difficult to find team news for some Championship sides, let alone National League's Sutton United. I scoured their website as much as I could, but couldn't tell you who's carrying an injury or who's unavailable. That said, their squad does include four products of Arsenal's academy you might remember. The most prominent is Craig Eastmond, who was part of the academy squad that won the double in 2009 (that's the FA Youth Cup and Premier League Academy.) Francis Coquelin and Jack Wilshere were both on that cup winning squad. Eastmond made 10 first team appearances before leaving Arsenal. The other three are Jack Jebb, who Sutton signed earlier this month, Roarie Deacon, and Jeffrey Monakana, all midfielders. They look just like us! Sutton! How about Sutton!? How are they doing? Well, they are 17th in the National League, which is England's fifth tier, which means out of all of the clubs in England, they are 109th. Since Sutton are a non-league side, they are obviously ineligible for the League Cup, but they are involved in the FA Trophy, which consists of sides from tiers five through eight. That said, they were eliminated from this competition in the third round proper (the round of 16) in a replay against Boreham Wood, 5-0. Since the start of the third round proper in the FA Cup, Sutton have not won a league fixture. They lost to Braintree, drew Eastleigh, then lost to Solihill Moors and Guiseley. The latter match was played on Tuesday, in which Guiseley scored an injury time winner. Lincoln City and Sutton United are the eighth and ninth non-league teams since World War II to qualify for the fifth round proper of the FA Cup; no non-league team has advanced past this stage in the modern era. This is the first time two non-league clubs have reached this point in the competition in 129 years. Only Blyth Spartans, in 1978, forced a replay, thereby getting their name in the sixth round draw; incidentally, they would have played Arsenal if they had won the replay against Wrexham. 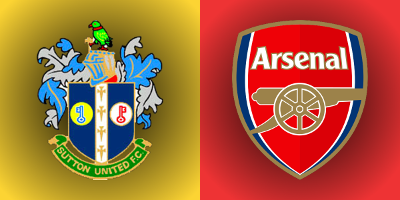 Arsenal have never played Sutton United before; the last time the Gunners faced a non-league side (which, of course, can only happen in the FA Cup,) it was Farnborough Town in 2003's fourth round. The FA had to move that match to Highbury from Cherrywood Road due to safety concerns and Arsenal ran out 5-1 winners. Arsenal went on to win the FA Cup against Southampton that May. result, I don't even remember anymore. The referee is Northumberland-based Michael Oliver. Arsenal have seen Oliver three times this season, with mixed results. Oliver was in the middle when Arsenal lost to Liverpool 4-3 on the opening day of the season, but he also worked the 3-0 win over Chelsea at the Emirates in September. Arsenal last saw Oliver at Bournemouth in January, in which Arsenal came from 3-0 down to draw 3-3. This will be the fifth FA Cup tie Oliver has worked for Arsenal; the Gunners have advanced from all four previous ties. Oddly, two of them were against Brighton & Hove Albion, first in 2013 and again in 2015. He also worked the 2014 semi-final penalty shootout win over Wigan and, of course, the 2015 sixth round tie at Old Trafford. You wouldn't know it from all the memorable wins he has worked, but Arsenal have a terrible record overall with Oliver. In 22 matches all-time with Michael Oliver as the referee, Arsenal have a record of eight wins, eight draws, and six losses. They have just three wins from 16 league games. They are winless away from the Emirates with Oliver in the league, but this isn't a league game, so at least that's not relevant now. The records I can find of Oliver's matches only go back to 2006, so they don't include the time he spent working outside of the Football League, but unless he worked a Conference South match in 2005/06, it doesn't look like he's ever taken charge of a Sutton United match before. Arsenal NYC are thrilled to announce that we will be hosting Arsenal and Ireland legend Liam Brady for a wide-ranging discussion about football past and present, followed by a Q&A session. The event is February 25 at 1:00 p.m. at Barleycorn and tickets are available here. John Painting is a contributing writer to the Modern Gooner and is about to take a vacation. You can follow him on Twitter @zorrocat, though he often does not tweet from vacation.